Dogfrisbee is a sport that absolutely fascinated me. It requires good coordination, accuracy, creativity and skill. 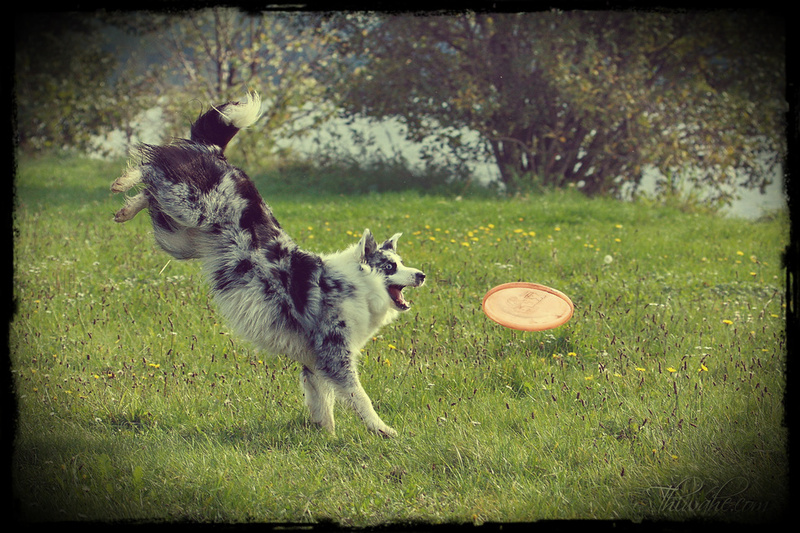 Our dogs love a frisbee. Just seeing disk, it is always absolutely shine. Bubba is attentive during the training. She jumps nicely, but sometimes seduces her to catch the disc using the front paws. Then the disc slips her to the ground. Coffee gives Bubba a beating properly. Although Coffee trains shorter time is precise, fast and always warm-up catch the disk. She is doing very well and I would say that it is a sport in which again excels. The whole hitch in our dogfrisbee is me. I was never good at throwing. Therefore no choice but to train.